This year Porsche owners and enthusiasts knew they were in for a treat. The fabled Emory Campout was being brought back and it would be better than ever. that would be full of friends and special experiences. 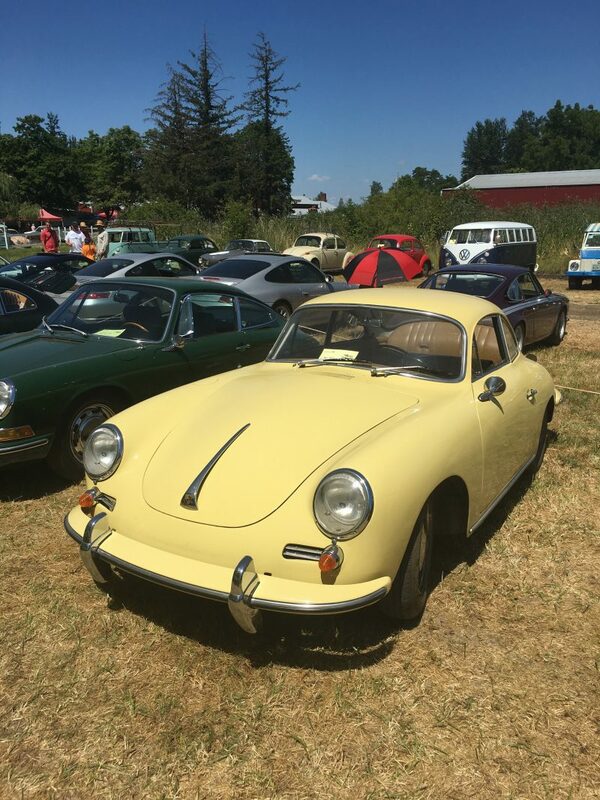 Gary's famous barn is a treasure trove for the Porsche lover. From Le Mans winning body work to Porsche inspired go karts. Later that evening, Le Mans was shown in one of the barns and food was available from a myriad of food trucks on site. 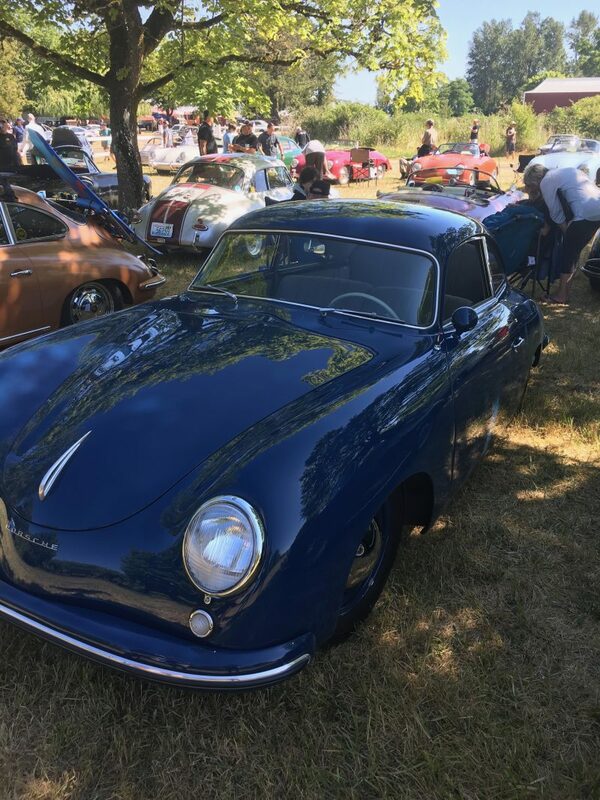 While historically the campout has attracted 356 owners, this year there were 911’s ranging from 1964-2017, as well as many R Gruppe Porsches. The 356s didn’t disappoint either, everything from Emory Outlaws to Pre-A cars were present and accounted for. Pre As were out in force! Saturday morning saw more people show up to spend the day admiring the Porsches. Over 500 people were in attendance and the Emorys made sure everyone felt welcome. Rod spent the day talking with people, or driving the children in attendance around in his 23 window VW van, which was a major hit! 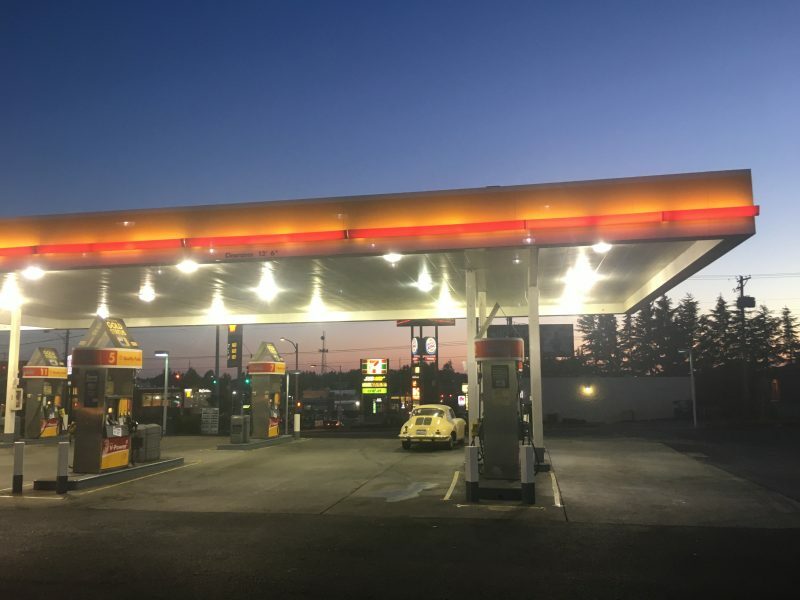 Gary regaled those interested in his parts shop with stories about the old days of scouring the country for vintage Porsche parts. The fully catered BBQ dinner was followed by a ice cream sundae bar! With Kona Brewing's special connection to the vintage Porsche racing community the beer garden made sure the beer flowed throughout the day and night. Dinner time came and with it the raffle. Many vendors and friends of Porsche had donated gifts to ensure very few people walked away empty handed. Following the raffle was a scrumptious BBQ that included an ice-cream sundae bar. After dinner, the faithful gathered in the barn once again for a special treat! Rennfilms showed a special screening of their not-yet-complete film on the 1951 Porsche 356SL that won Le Mans, giving Porsche its first win on the world stage. Night falls on the campout. The film was breathtaking and followed by a Q and A with Rod and the owner of the car. As is typical of Rennfilms, the emotion brought to the screen left many in the audience speechless. Saturday night was a repeat of Friday with many little gatherings and new friends being made. Rod Emory drove his beautiful outlaw up from his SoCal shop. The trailer was custom made for the car by Rod and his crew the week prior. Sunday started with the rush that is the swap meet! Buyers and sellers gathered on the inner field to barter, bicker, buy and sell. 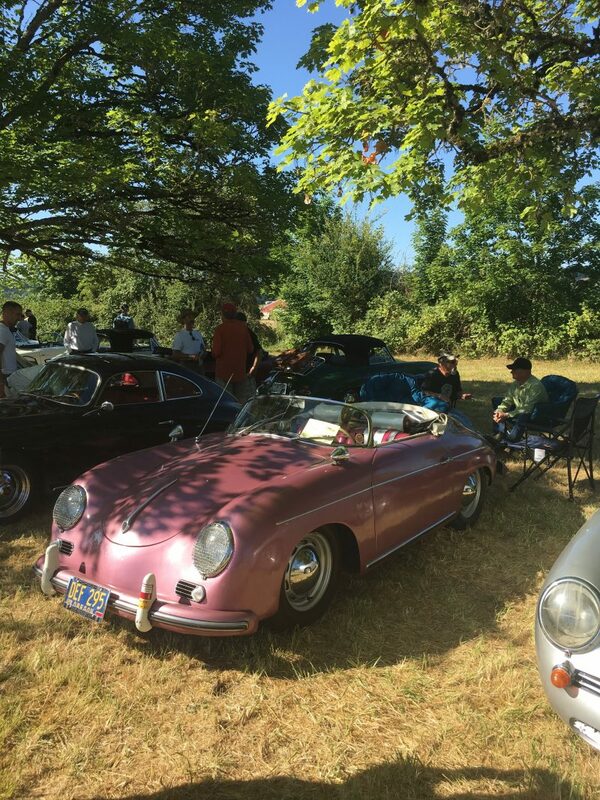 Carrera wheels, rare literature, and Porsches were all offered and many were immediately scooped up. As people packed their campsites up the Porsches started to slowly trickle out, headed back home after an amazing weekend. The prototype 356 golf kart. While the Emorys say this campout may not happen again for some time, everyone in attendance would agree that the sooner it does the better. Reading at breakfast while waiting for the official campout start. Twetpie is a well loved, and well travelled 356C. The keen observer will notice the Shot-Ski on the back. Sally, the driver, when asked what was in the suitcase replied "My dirty clothes, wanna see?" 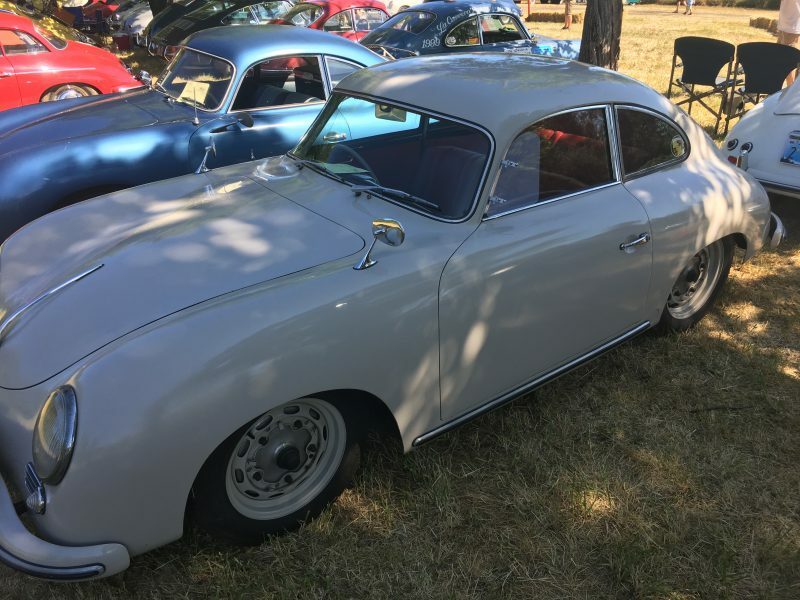 This is a Porsche that was run in the 1999 La Carrera Panamericana race, it is now owned by a Washington member. Heading to the campout it was possible to meet up with other 356s and make the trip together. A fresh "barn find" 67 911 Soft Window Targa. A Porsche 904 rear deck lid is one of the many amazing finds up in the rafters of Parts Obsolete. 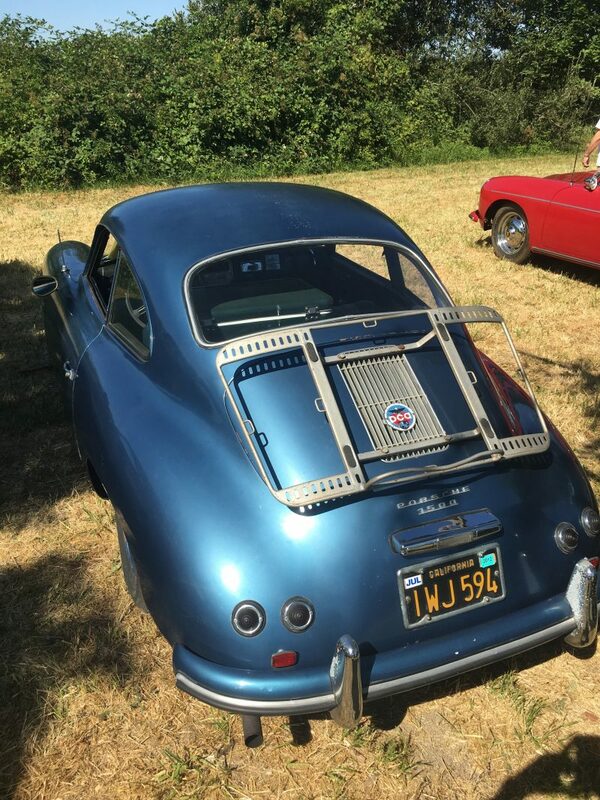 This Porsche was purchased by the owner before he was shipped to Vietnam. When he returned his mom and sister surprised him with a new paint job! This 1953 Coupe is frequently driven by the owner and has made many trips up and down the coast to events. Milt Minter racecar, as driven by Rod Emory. The wheel and tire combo was probably twice as wide as factory. Another view of Gary's barn. 959, 904, RSK, 934 bodywork on display. The author's 1964 Chamaign 356C Coupe, "Homer". Beautiful, original, 1953 Pre A Cabriolet. 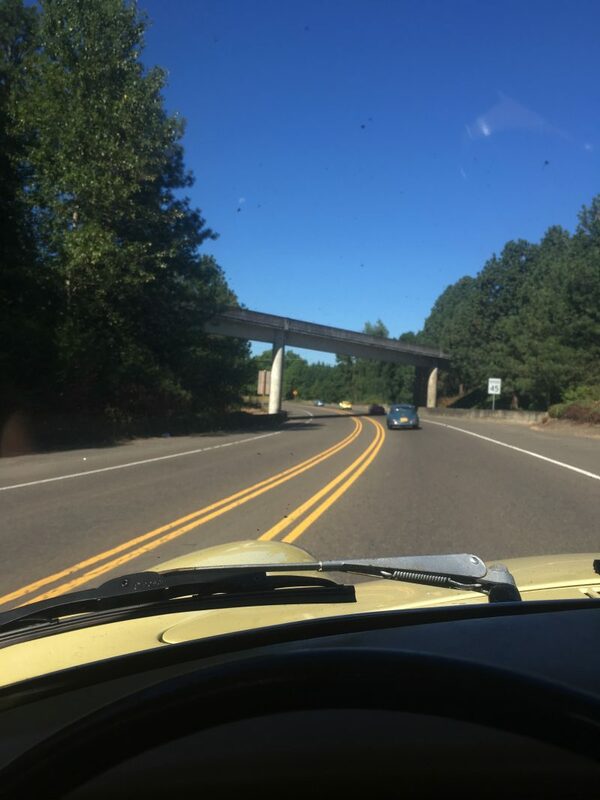 550 Spyder made it to the campout, coming down from Seattle.